Russia organised and took away the most Gold medals at the 2014 Olympic Games in Sotchi. However, hosting made them vulnerable to criticism from the western media and its numerous headlines regarding terrorist attacks (that never materialized). Despite new communication technologies, traditional media remains the most important source of information and can lead to the theory of media dependency. 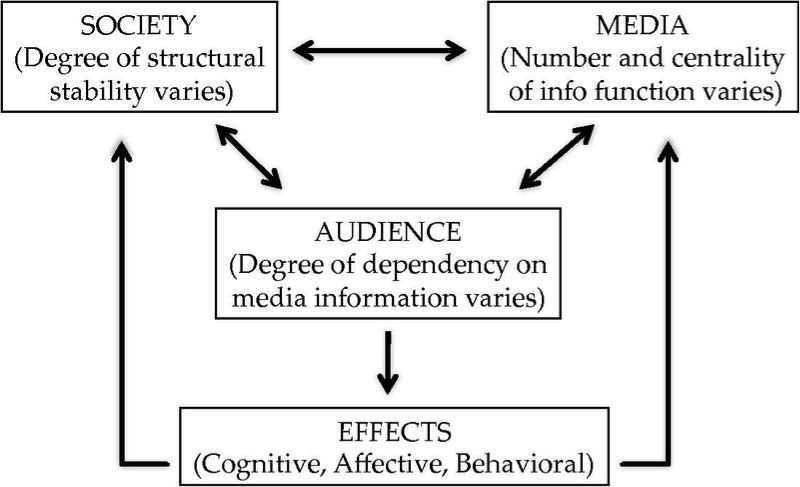 At its core, the basic dependency hypothesis states that the more a person/community/situation depends on media to meet needs, the more important media will be, and therefore the more effects media will have on a person/community/situation. Within conflict zones, the media have the potential to support peacebuilding and conflict prevention, just as much as they can influence the development of a conflict itself. The CNN effect postulates that the development of popular 24-hour international television news channels has had a major impact on the conduct of states’ foreign policy. While the media has always had an influence on policy-making, the CNN effect is characterised by the extent, depth, and speed of said influence occurring, thus making it qualitatively different from those that preceded them historically. Steven Livingston identifies three distinct aspects that fall under the broad term of the CNN effect: The media may function alternately or simultaneously as a policy agenda-setting agent, an impediment to the achievement of desired policy goals, and an accelerant to policy decision-making. By focusing on instantaneous media coverage on a particular conflict, international incident etc., it demands political attention as governing politicians attempt to demonstrate that they are ‘on top of’ current issues. Deeper penetration and a wider broadcast of statements and actions by public figures may increase transparency but it can also complicate sensitive diplomatic relationships between states, and/or force an official reaction that might not be needed. The information revolution of the web and 24-hour international news thus accelerates the policy-making process, requiring a faster tempo of decision and action to forestall the appearance of a leadership vacuum. The Al Jazeera effect can be seen as parallel to the CNN effect. 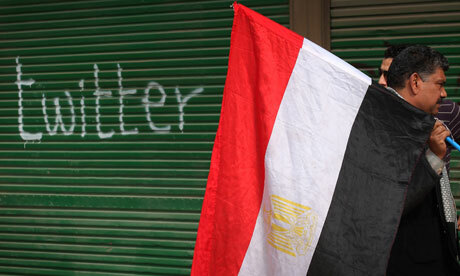 Whereas the CNN effect is used in the context of mainstream and traditional media networks, the Al Jazeera effect generalises in the form of newer media such as blogs, social media, internet radio, and satellite broadcasting. Philip M. Seib (author; “The Al Jazeera Effect: How the New Global Media Are Reshaping World Politics”) also argues that new media strengthens the identity of, and gives voice to, previously marginalised groups that previously lacked their own media outlets. Seib stated that new media, while not beyond being abused, is largely contributing to democratisation and political reformation worldwide. William Lafi Youmans notes that Seib’s prediction that the Al Jazeera effect will lead to changes in the politics of the Middle East was realised during the Arab Spring in the early 2010s, with new media provoking widespread debate and unrest within the region. Although a society’s media and political system are supposed to be heavily interdependent, the latter can rely on the former to maintain order and to reinforce political values as well as controlling and winning conflicts that develop within political domains. Regarding a conflict situation, it is important to distinguish two different categories of media: The international media, which has a global reach and local media. How media determines the coverage of a conflict? International media, which can be defined as national media with an international impact, depends on national policies and therefore public opinion. In a way, they are in a good position to manipulate perceptions of a conflict, either to minimise or exaggerate, all depending on their position of power; that is how the media determine the attention they give to a conflict. According to Livingston’s research, the assumption that the greater the amount of death and destruction, the more attention the media will pay to the conflict, is false. His data shows that no correlation exists between the number of people at risk of dying and media attention. Following the media dependency theory, that is open to discussion as one of the conditions of heightened media needs occurs when a society is undergoing social change and conflict. When there is a war or large-scale public protests as in the Arab Spring, people turn to media to help understand these important events. Consequently, the media have a greater opportunity to exert effects during these times of social change and conflict. The power of images and atrocities is what is attracting the public audience and can change the their opinion, which is needed for any engagement into a conflict. A recent example would be the call from the US government to raise the public awareness on what is happening in Syria. International media has the potential to influence both governments and international organisations, even though they do not have always the most accurate reflection. Local media has a different role in conflict zones regarding conflict prevention; they are more trusted. Local media can contribute to peace merely by restoring levels of trust and self-worth in a population on the brink of or emerging from violence. Local media, for example during an ethnic conflict, has the ability to give a voice to those who were previously silenced. This gives the opportunity for community members at odds to release tensions via radio rather than through armed conflict. In another sense, it can also have a deleterious effect, cause an escalation of violence, and can be used as propaganda, one versus the other, which might obstruct the work of peacekeepers. Generally, local media know the situation on the ground; they know each development and therefore have a better understanding of a conflict and how to approach it. They are also closer to people and can therefore be more trusted. The priority of local media is to focus on the country itself, and not on an overall geopolitical division, which makes their work more accurate regarding conflict prevention, sustaining stability and to contribute to a peaceful society. Local media can play a role in a successful peace agreement and work closer with local NGOs. 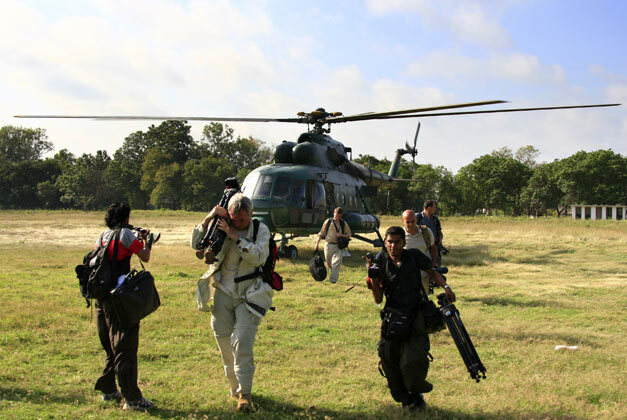 To read more about the media’s role in international security, click here. This entry was posted on 04/03/2014 by ISIS Europe in Contributors, François Ducrotté, Opinions and tagged Al Jazeera, Al Jazeera effect, Arab Spring, CNN, CNN effect, Facebook, James Baker, media, media in conflict, Social Media, Sotchi, Twitter.